You can’t work in a modern corporation without being exposed to the two prevailing process improvement methodologies; Six Sigma and Lean Manufacturing. Six Sigma focuses on reducing variability in an effort to produce consistent outcomes, (i.e. uniform widgets). Lean Manufacturing aims to reduce waste; thereby increasing productivity and throughput. Although not formally trained in either methodology, I’ve been in and around companies with active programs in both and have witnessed their impact. So I was surprised to find a different, unknown process improvement technique; The Theory of Constraints. At least it was unknown to me. The Theory of Constraints (TOC) was first put forth by Eliyahu Goldratt in his book, The Goal. It recognizes that in any process, there is a constraining activity. The activity with a growing backlog is the likely culprit. TOC asks you to think of the end-to-end process like a chain. 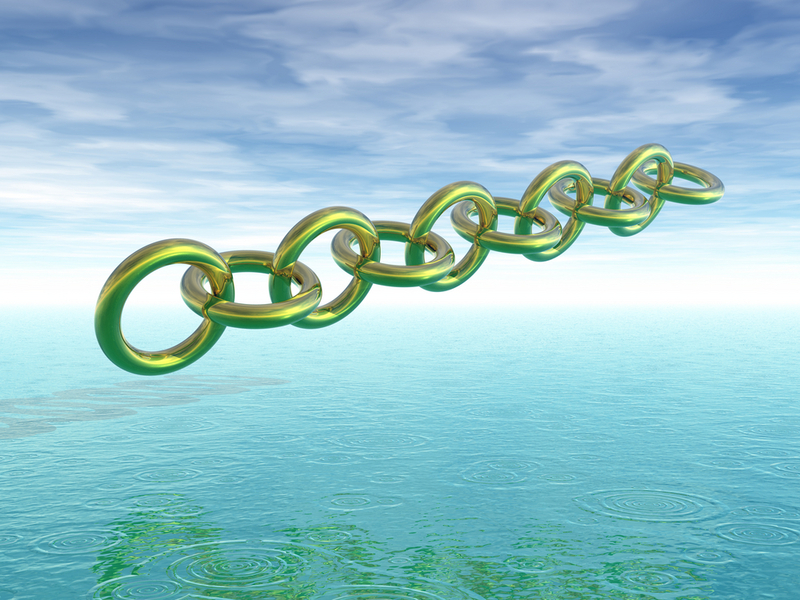 And the weakest link in that chain determines the overall process throughput. By concentrating on improving the capacity of the constraining activity (or weakest link), the system’s overall throughput can be increased. This approach seems intuitively satisfying. And I’ve been wondering why it didn’t make the leap to the corporate world. In an article entitled How to Compare Six Sigma, Lean, and the Theory of Constraints”by Dave Nave from 2002 , the author puts forth some organizational differences that may be able to explain why. In essence, Mr. Nave explains that TOC is favored by traditional hierarchical organizations that have a clear delineation between workers and management. TOC is driven by management without much input or influence from the workers. I can imagine that this didn’t appeal to modern, progressive organizations that are trying to flatten their org charts. The aspect of TOC that appeals to me however, is how the process is viewed as a whole. I liken TOC to the work a metropolitan traffic planner might undertake by flying over the city in a helicopter. She may observe various bottlenecks and choke points during rush hour and direct the road crews to tune traffic light patterns or (in some cases) add new lanes. Over time, she could see the impact of these adjustments and observe the bottlenecks moving to new locations or dissipating altogether. In contrast, I’ve observed many Lean activities that are narrowly focused. They may improve efficiency locally, without fully considering the overall organization. That’s like adding lanes to a highway without reducing overall commute time. TOC is an interesting way to think about process improvement and it deserves to be considered along with Lean and Six Sigma. So I’m going to add TOC to my professional toolkit. How about you?